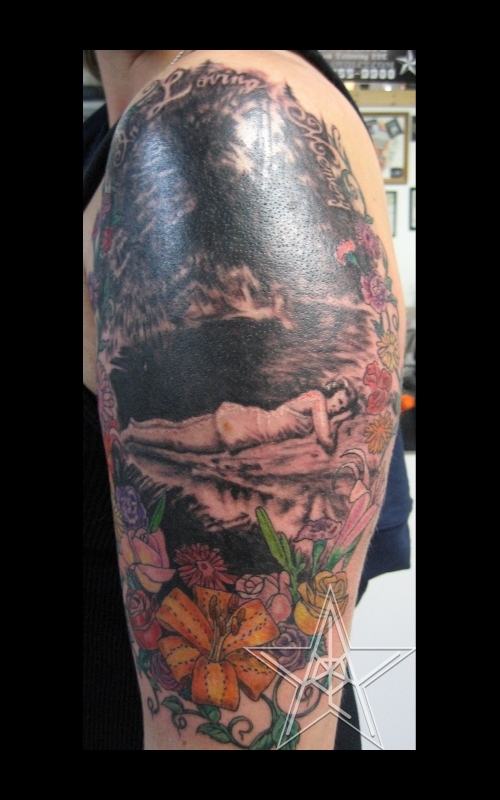 Granny in the Old Days Flowers and Grandmother as a teenager tattoo. 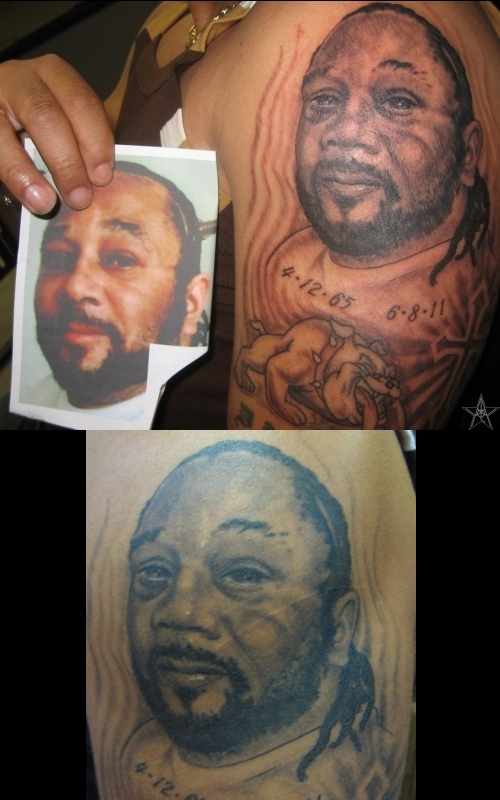 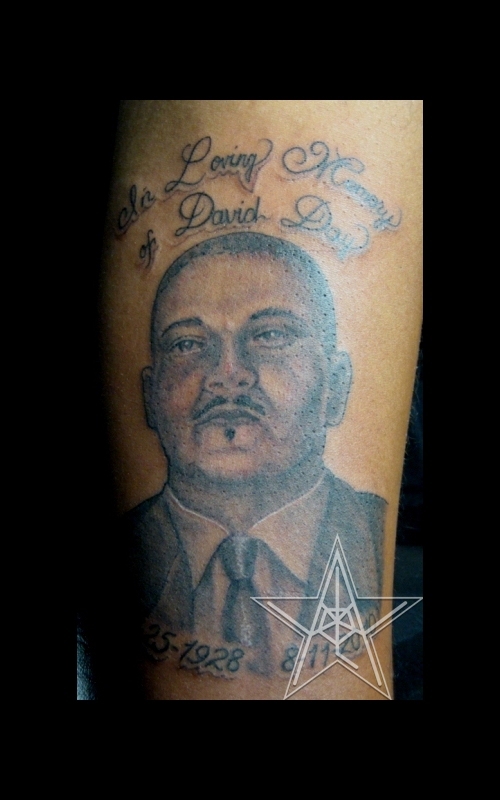 Remembering Ricky Color portrait tattoo. 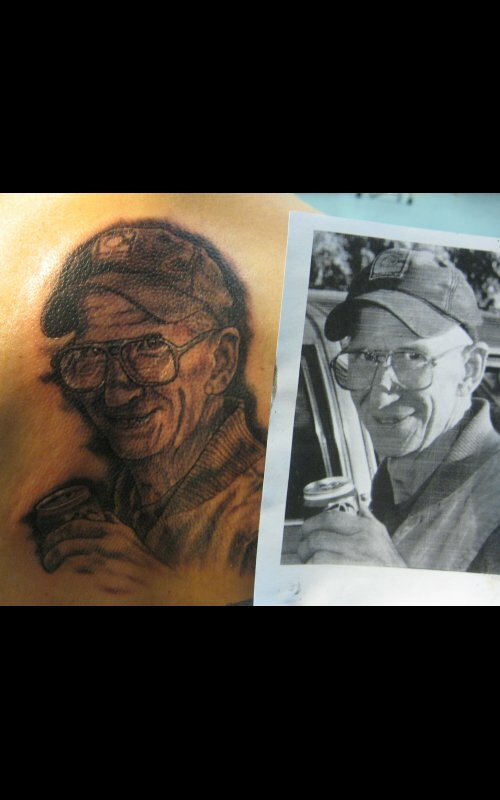 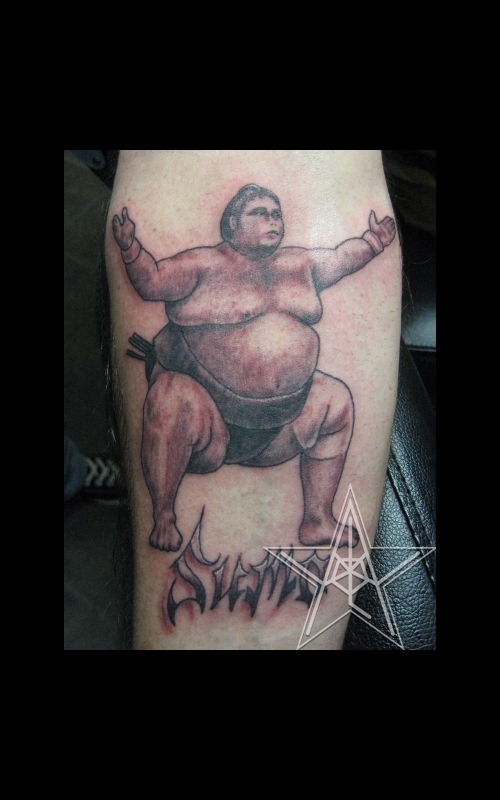 Tough Ol' Dude Portrait tattoo. 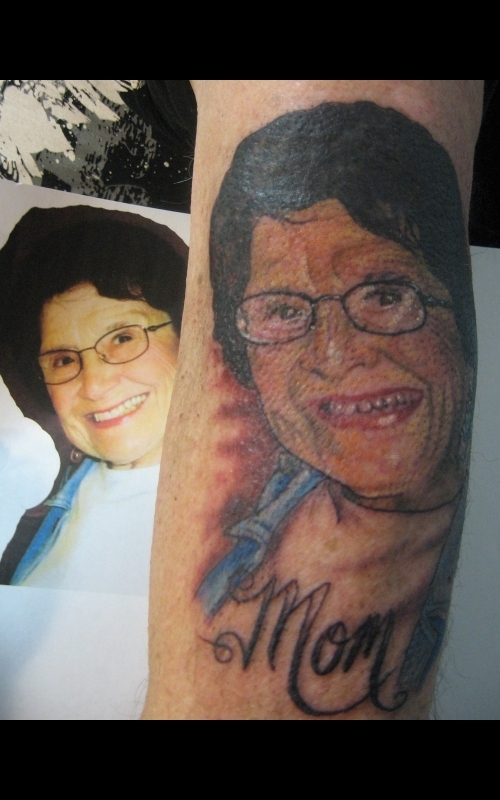 Memorial of Mom Portrait In Memory tattoo. 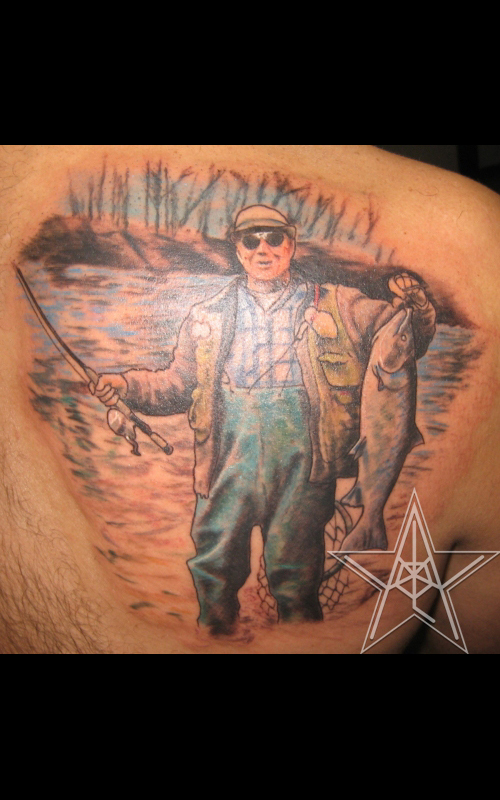 Gone Fishin' Color portrait tattoo of man fishing. 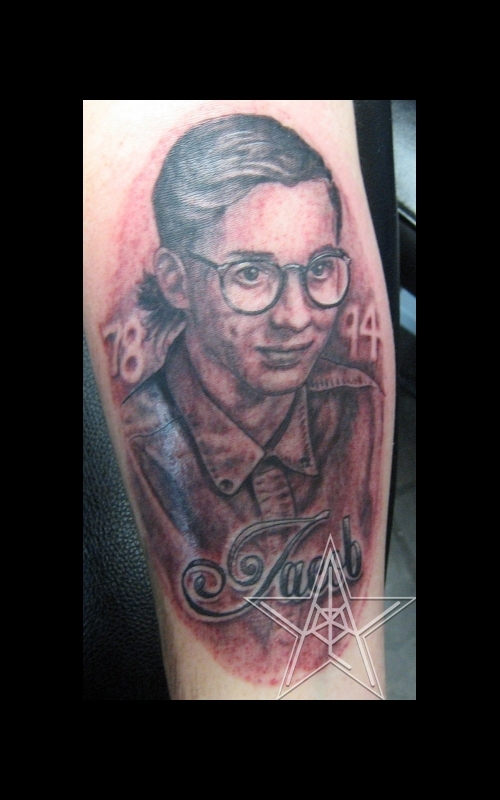 Pat In memory portrait tattoo. 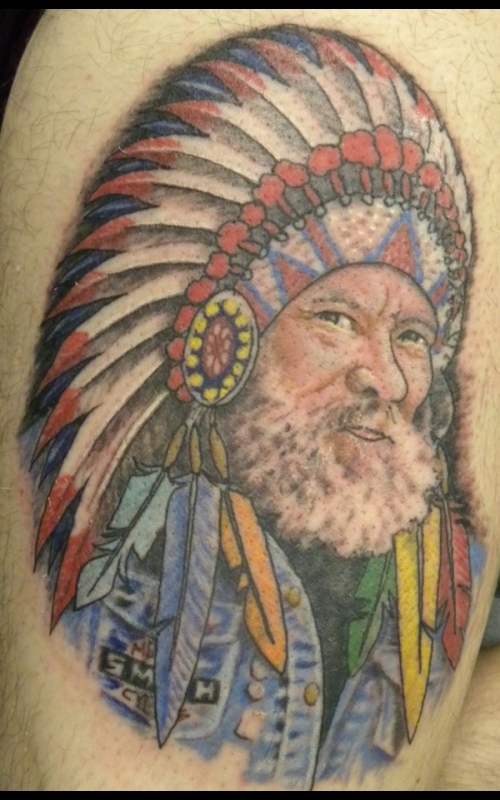 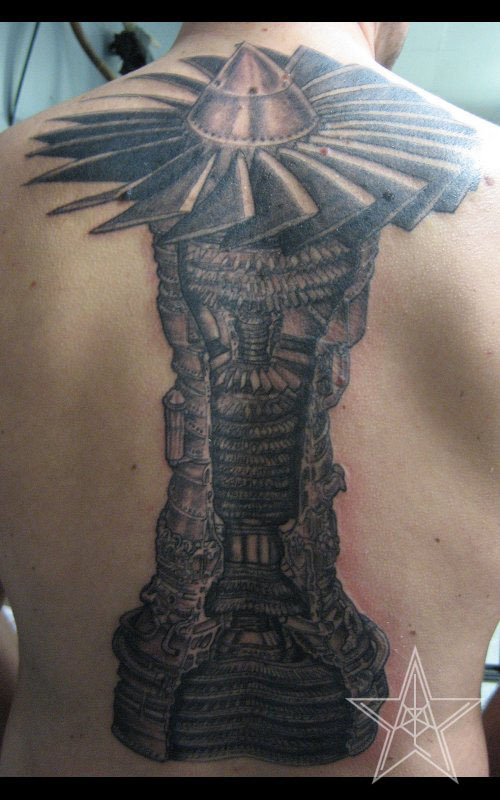 The Chief Color portrait tattoo, head dress added. 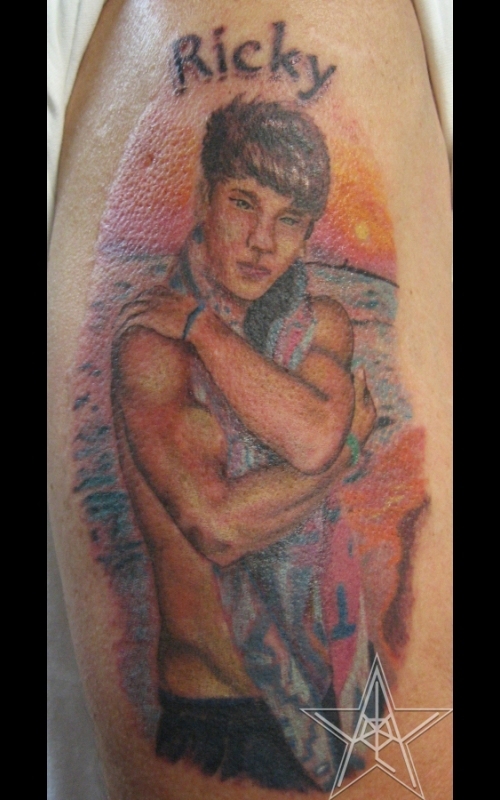 Turquoise Necklace Realistic turquoise necklace tattoo. 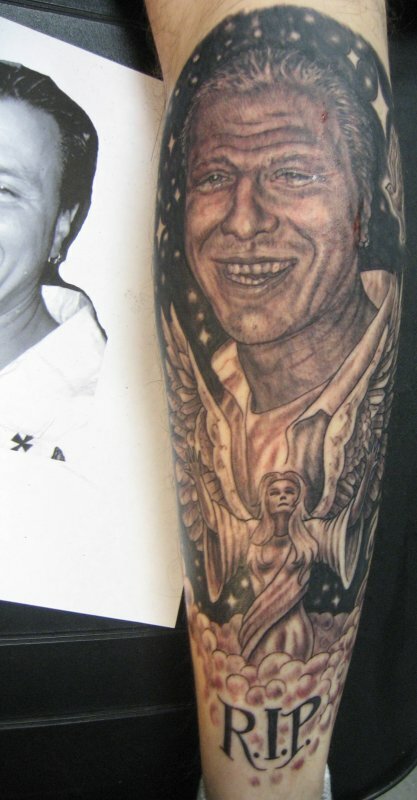 Good Ol' Guy Portrait tattoo. 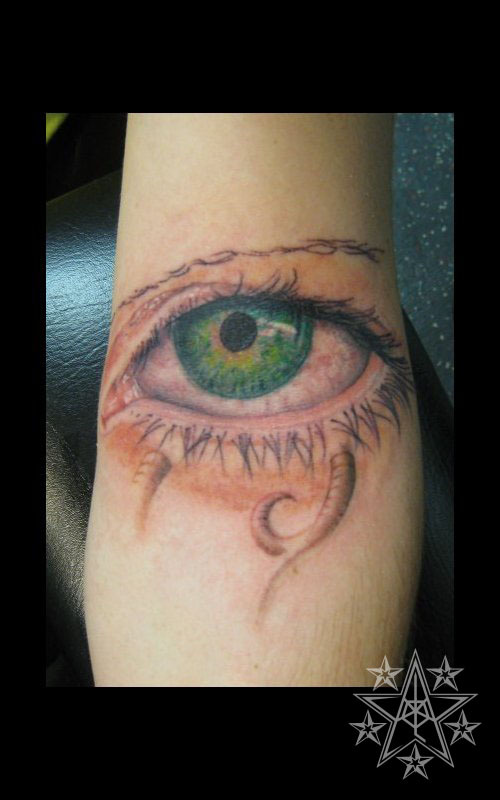 Glistening Eye Woman's eye tattoo. 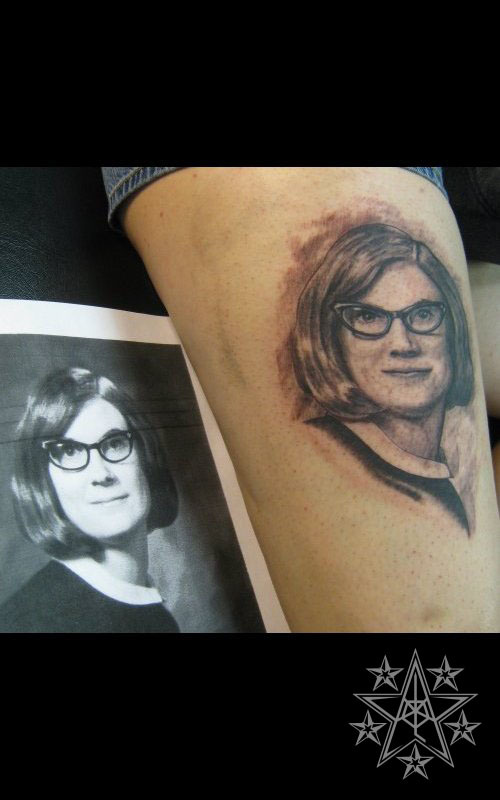 Portrait of a Grandmother in youth. 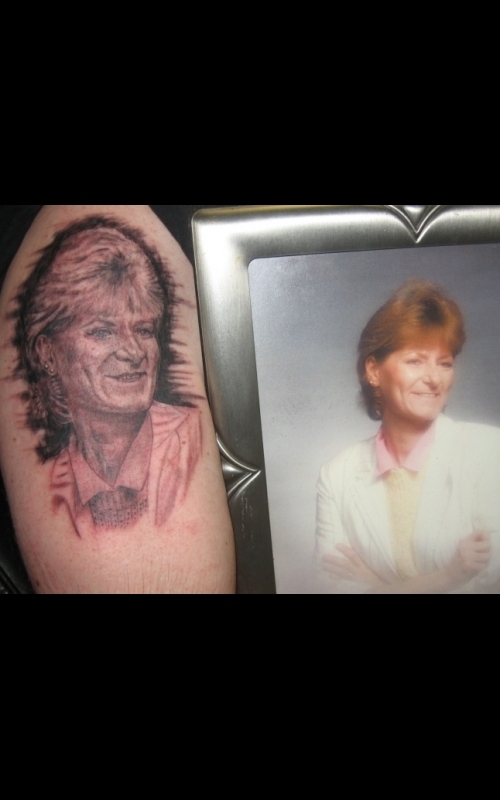 Portrait tattoo. 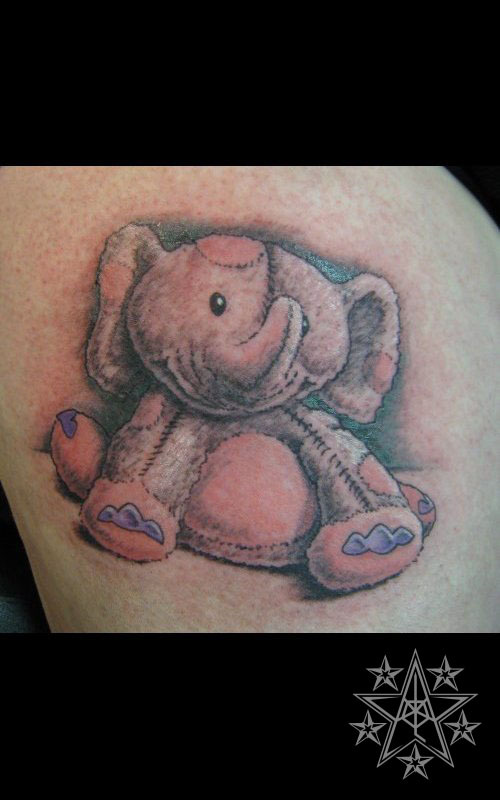 My Stuffed Buddy Toy elephant tattoo. 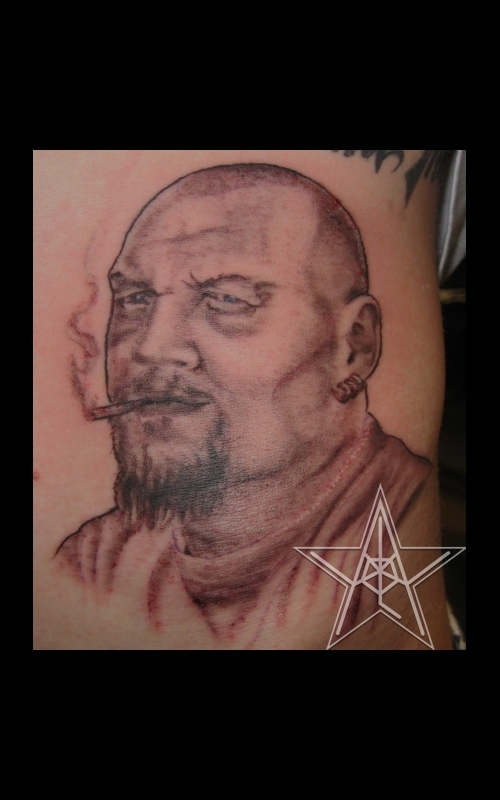 I Like Dags Dewayne's weiner tattoo. 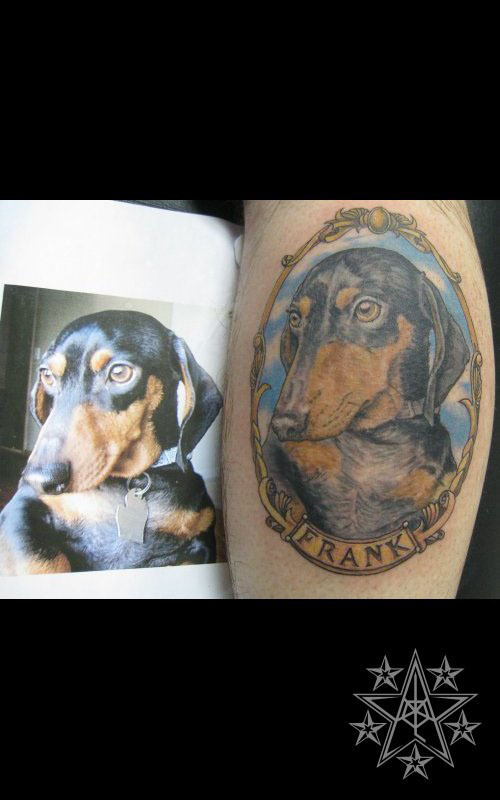 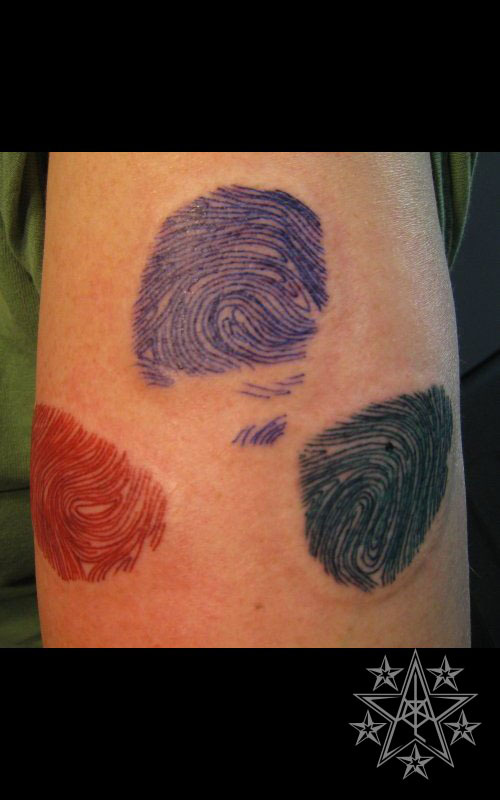 Realistic tattoos by Ray Reasoner Jr.